LSU Graduate BS Civil Engineering 1990, LSU. 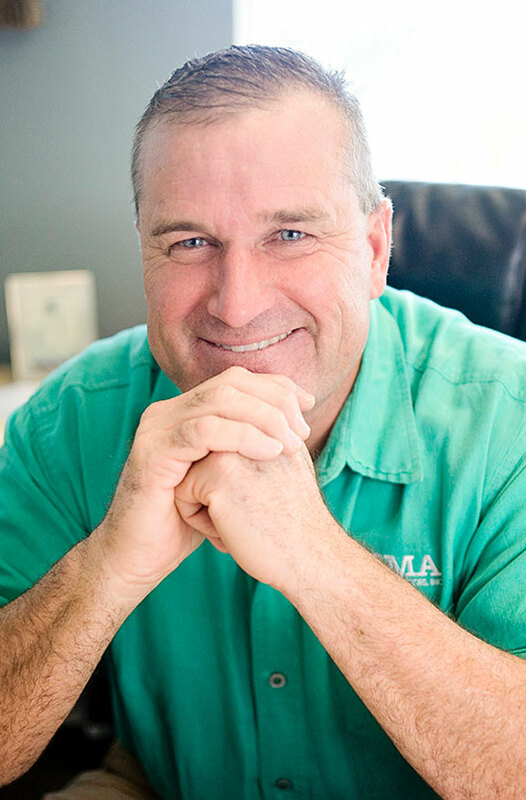 Civil Engineering PE in LA since 1997, and also registered in AL, TX, OK, MS. Proud I take pride in running a company that believes in treating our employees and clients "the way that we would want to be treated". Hobbies I enjoy working on home building projects, cooking, fishing, hunting, and golf(even though I'm not very good)! Camp@GrandIsle It was fulfilling to design an innovative structural system to withstand hurricane force winds but practical enough to run myself. 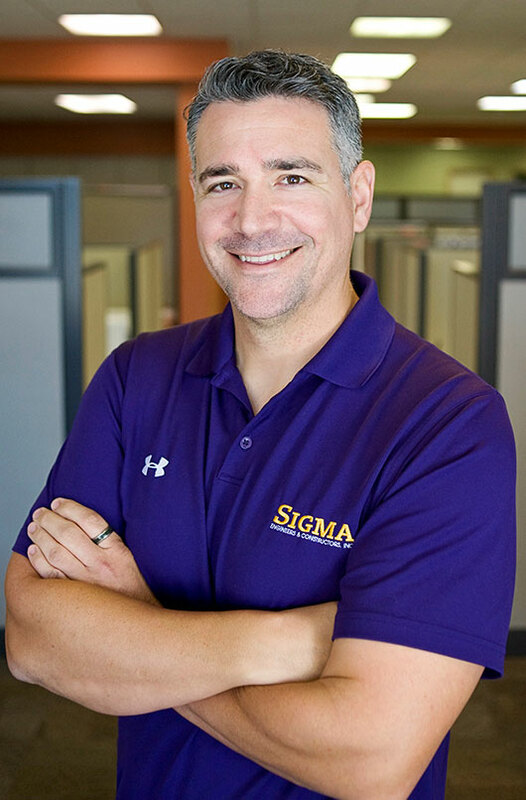 Why I Work at Sigma I wanted to belong to a company that focused on its people and its product, not just the bottom line. Creative Thinking Sigma has always had an atmosphere that promoted creative and innovative critical thinking. 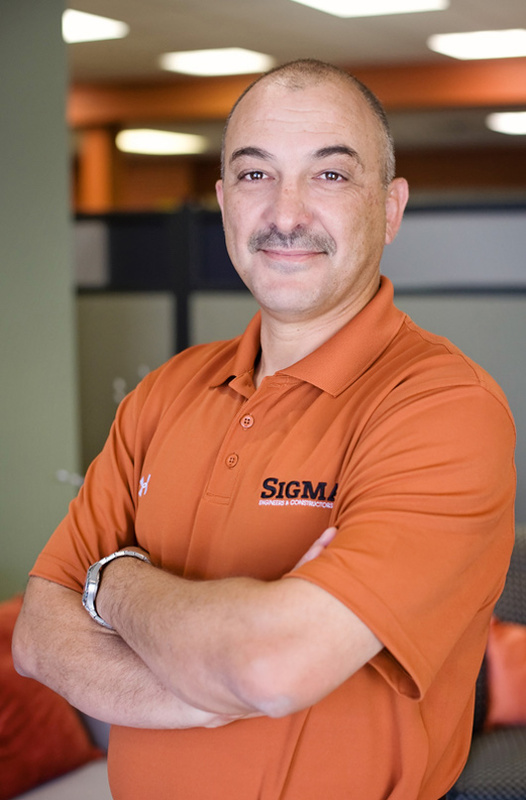 The Sigma Culture We have a tremendous passion for our people and our relentless pursuit of solutions for our clients. Teamwork We've created an environment that not only allows input from every employee, but actually embraces it. Most Interesting Project CF Industries' De-mineralized Water project. It was successful for both CF and Sigma. 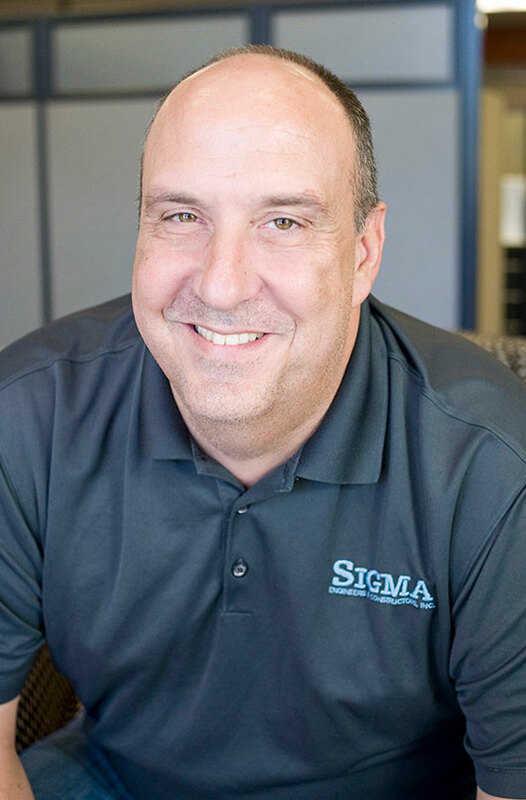 Why I love Sigma We strive to bring out the best in our employees and to produce a quality product for our clients. Hobbies Hunting, Fishing, and Golf! Sigma Family Sigma has a family atmosphere, which makes people feel a sense of ownership and responsibility for the success of the company. Work Motto "If you love what you do, you never have to work!" Education and Experience Graduated LSU with BSEE. Professional Electrical Engineer (PE) in 1996. Soccer!!! In my free time I enjoy traveling and coaching my son's team in area tournaments. Efficiency and Quality Sigma’s family-like atmosphere helps our teams complete projects with the highest level of efficiency and quality. Most Interesting Project The most interesting project that I have worked on was a Blast Protection Retrofit of a plant control room. LSU Graduate Graduated in 2006 from LSU with a B.S. in Civil Engineering. Earned his PE License in 2011. Personal Note Has out-fished Danny Kais many times. Chris's Background Chris has been working as a designer since 1989. Most interesting project Relocating an entire plant across the ocean. Disassemble, demolish, ship, erect... VOILA! Chris's Hobbies Spending quality time with family and friends. A Personal Note from Chris "Whatever task you take on in life; always provide maximum effort." Background My career started as a result of being an artist from a very young age. Once I finished high school I attend LSU at night taking Engineering graphs courses and upon completing these courses I started my piping career on-site at Exxon walking down and noting all steam leaks. I’m happy to say that I’m going on 44 years piping design in the Baton Rouge area. Why I Love Working at Sigma Without question, it’s how they treat their employees, and now seeing why this company was voted Best Engineering Firm to Work 2016. Hobbies My parents owned a Texaco service station, and I grew up there from a young age and had the great fortune of having some very nice muscle cars in my high school days, which lead me into my main hobby to this day. Building Hot Rods, and at one point I had a full time hot rod shop (chop tops, custom body work metal or fiberglass, paint designs and paint) along with my full time main job. I’m also a caricature, wildlife, and hot rod artist. Background 24 years of IT experience. Why I Love Working at Sigma I enjoy being at Sigma (I don’t really consider it work) because nowhere else has ever felt more like family. Most companies say it. Sigma means it. My Most Memorable Sigma Project It wasn’t a project. Being part of the Sigma flood response team. Watching and being a part of the way that the Sigma family banded together to help each other in the Great Flood of 2016! Background Graduated from Louisiana State University in May 2009 with a Bachelor degree in Mechanical Engineering. Became a licensed Professional Engineer in June 2013. Why I Love Working at Sigma Relaxed atmosphere with a family type environment. Flexible schedule. Shared workload, i.e. everyone pulls their own weight and is willing to help one another. Most Memorable Project Every project presents its own challenges, making every one memorable. If I had to choose one, Engineering the high pressure, high temperature piping and supports for the installation of a new Converter at the CF, Port Neal, IA facility. Hobbies Spending quality time with my wife and daughters. Anything sports and workout related. Reading books on various subjects. 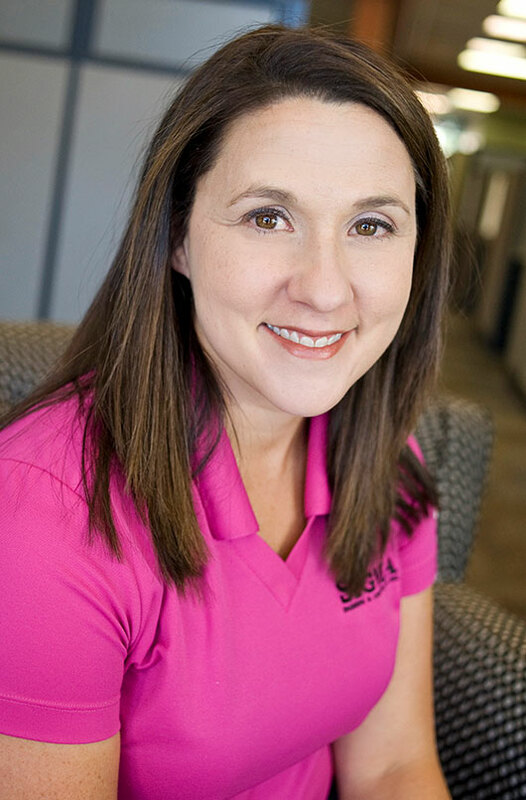 Background Michele has 27 years of experience providing Procurement and Material Management Services for local engineering firms within the Baton Rouge area. She's worked with numerous clients in the Gulf Coast Region, with experience in implementation of procurement work processes, procedures, and best practices. Michele manages up to a 12 person procurement staff. Why I Love Working at Sigma #1 No Corporate Management! It has a friendly and professional work environment but yet still has that family atmosphere that allows employees to love their jobs and make them want to come to work every day. Hobbies Couponing / Shopping for bargains! You call it Shopping – I call it Retail Therapy! When the going gets tough, the tough go shopping! I also have a passion for decorating and event planning. Background I graduated from Southeastern Louisiana University in May 2006. Right after graduation I worked for a contracting Company out at Marathon Petroleum for three years, in the document library. In October of 2009 I started working for Sigma doing documentation. Why I Love Working at Sigma One of the reasons I like working for Sigma is that you don't have to dress up for work. It's a nice feeling coming into work just being comfortable, wearing jeans and sneakers. Most Memorable Project Most memorable project I worked on was Dynamic Fuels. This was my first project as the sole document controller. This project pushed me out of my comfort zone. Hobbies and Fun Facts My hobbies are traveling, going to the movies, sporting events and photography.Also, the company wishes me Happy Birthday every day. It's not annoying at all! Background I received my undergraduate degree from LSU with a B.S. in Marketing, and I received my MBA from Southeastern. I have had my (PHR_ Professional Human Resources Certification since 2010 and my (SHRM-CP) Society of Human Resources Management Certified Professional since 2015. Why I Love Working at Sigma I enjoy working at Sigma because of the people. I get to work with really great people every day. The work environment or energy at Sigma is like no other. Most Memorable Project Working with several employees to put together a jambalaya fundraiser to help one of our coworkers and his family. It was a great thing to see so many of our employees helping out and working together for one of our own. More About Me I enjoy running and sports, and spending time with my kids. 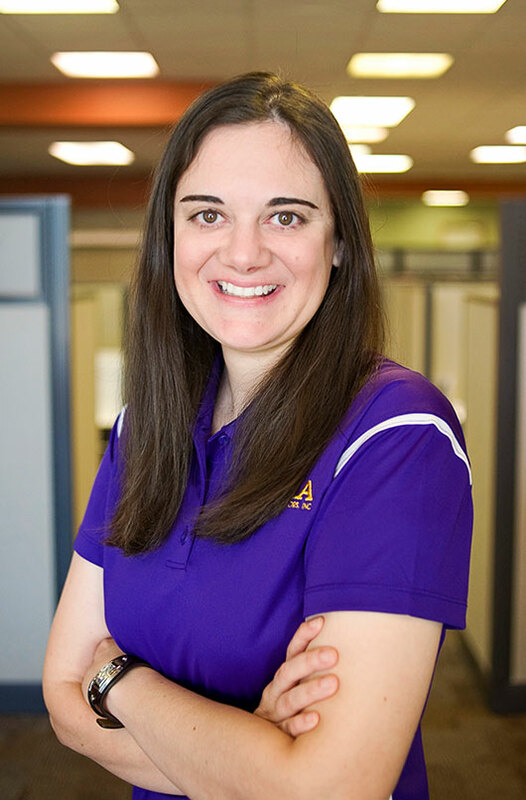 Background Graduated from LSU with a Construction Management degree in 2005 and have been working in the Petrochemical field since with the majority of that time being spent in the project controls arena. Has worked for both consultants and representing the client to gain an understanding of processes and execution strategies. Why I Love Working at Sigma The employees at Sigma want to be here and want to see Sigma succeed which has created a team and family atmosphere. Everyone looks out for each other and will do what it takes to make sure we deliver a quality product and in a timely manner. My Role It has been very gratifying to help build the project controls group and to be a part of growth with such a fantastic group of folks. Hobbies In my spare time, I enjoy golfing and fishing but most of my time is spent with my two wonderful daughters. Background I graduated from LSU and my professional background includes a lot of non-profit involvement. I am currently participating in an effective leadership and Ontological Coach training program. Why I Love Working at Sigma There is a lot of laughter in the office which makes it an enjoyable place. Everyone genuinely enjoys working with each other and Sigma values their employees and cares about making sure there is a work/family balance. My Hobbies I enjoy painting, traveling, and working out on a Megaformer machine. I love Thai and Indian food and salted caramel ice cream. Background Graduated from LSU with a degree in Finance. 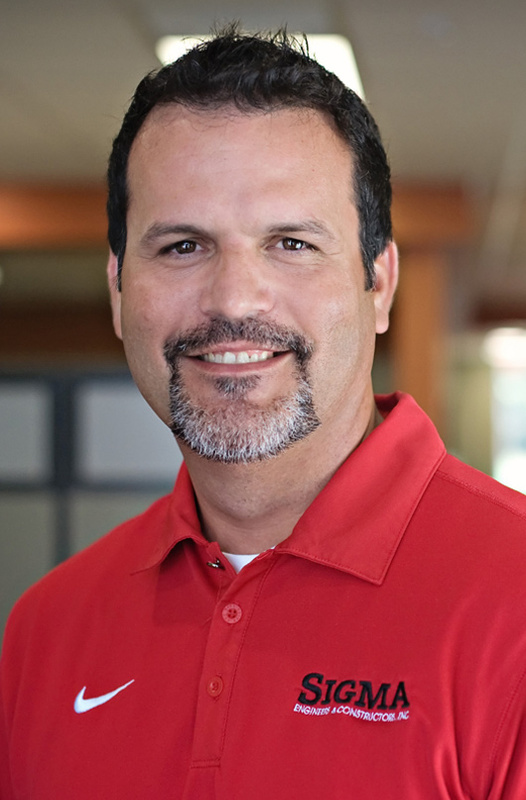 14 years of experience working in Accounting specifically in Consulting Engineering, prior to that 6 years working in the Accounting department at a warehouse and trucking business. Why I Love Working at Sigma I love the fact that Sigma truly is a family and we sometimes are a goofy family. I find myself giggling about something every day at work because of something a co-worker says or does. Oh, and there is the ice machine…we have awesome crushed ice. What Else I Love I enjoy cooking…really baking more. I enjoy reading. I like going to see live music and just listening to music in general. I love eating ice. Lol. 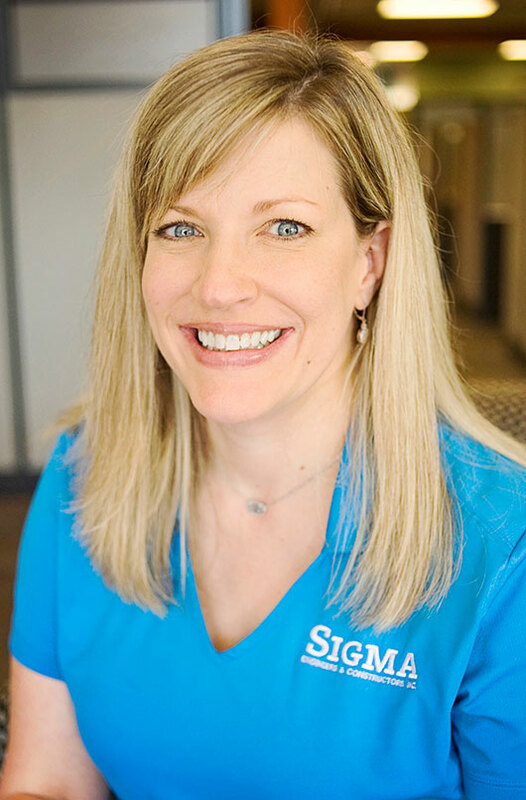 Oh, and today is Kristin’s birthday…..and tomorrow too, because every day is Kristin’s birthday at Sigma. BS Civil Engineering 1990, LSU. Civil Engineering PE in LA since 1997, and also registered in AL, TX, OK, MS. I take pride in running a company that believes in treating our employees and clients "the way that we would want to be treated". I enjoy working on home building projects, cooking, fishing, hunting, and golf(even though I'm not very good)! It was fulfilling to design an innovative structural system to withstand hurricane force winds but practical enough to run myself. I wanted to belong to a company that focused on its people and its product, not just the bottom line. 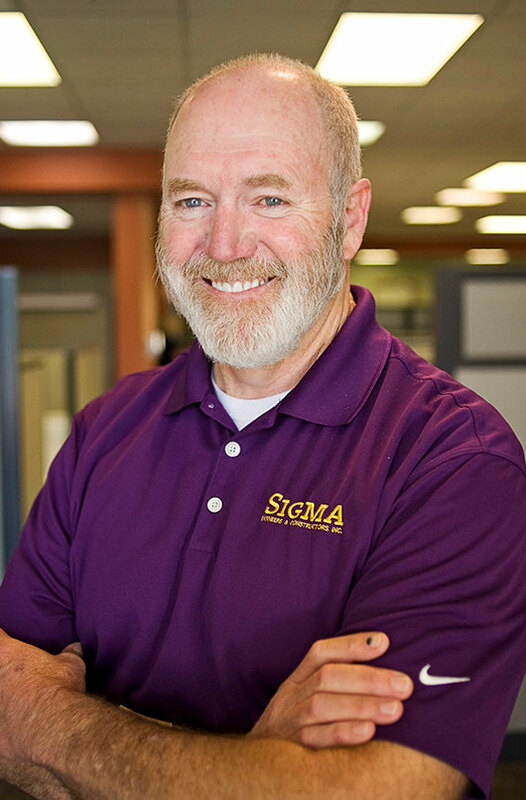 Sigma has always had an atmosphere that promoted creative and innovative critical thinking. We have a tremendous passion for our people and our relentless pursuit of solutions for our clients. We've created an environment that not only allows input from every employee, but actually embraces it. CF Industries' De-mineralized Water project. It was successful for both CF and Sigma. We strive to bring out the best in our employees and to produce a quality product for our clients. Sigma has a family atmosphere, which makes people feel a sense of ownership and responsibility for the success of the company. "If you love what you do, you never have to work!" Graduated LSU with BSEE. Professional Electrical Engineer (PE) in 1996. In my free time I enjoy traveling and coaching my son's team in area tournaments. Sigma’s family-like atmosphere helps our teams complete projects with the highest level of efficiency and quality. The most interesting project that I have worked on was a Blast Protection Retrofit of a plant control room. Graduated in 2006 from LSU with a B.S. in Civil Engineering. Earned his PE License in 2011. Has out-fished Danny Kais many times. 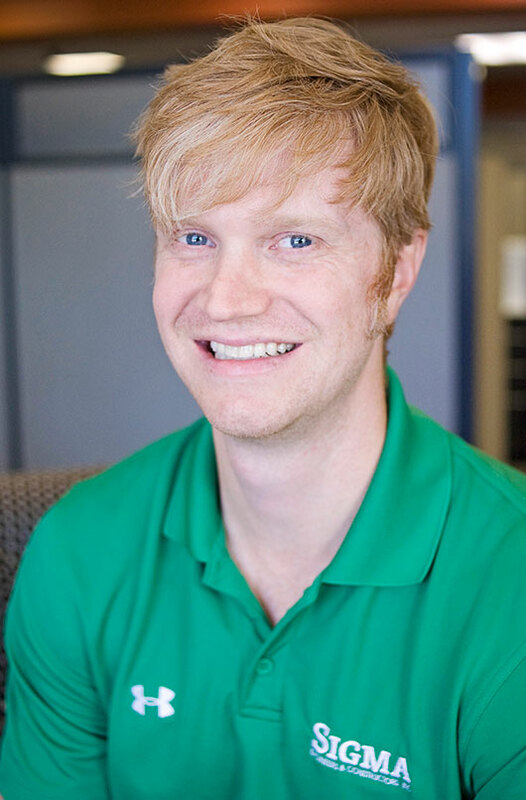 Chris has been working as a designer since 1989. Relocating an entire plant across the ocean. Disassemble, demolish, ship, erect... VOILA! "Whatever task you take on in life; always provide maximum effort." My career started as a result of being an artist from a very young age. Once I finished high school I attend LSU at night taking Engineering graphs courses and upon completing these courses I started my piping career on-site at Exxon walking down and noting all steam leaks. I’m happy to say that I’m going on 44 years piping design in the Baton Rouge area. Without question, it’s how they treat their employees, and now seeing why this company was voted Best Engineering Firm to Work 2016. My parents owned a Texaco service station, and I grew up there from a young age and had the great fortune of having some very nice muscle cars in my high school days, which lead me into my main hobby to this day. Building Hot Rods, and at one point I had a full time hot rod shop (chop tops, custom body work metal or fiberglass, paint designs and paint) along with my full time main job. I’m also a caricature, wildlife, and hot rod artist. 24 years of IT experience. I enjoy being at Sigma (I don’t really consider it work) because nowhere else has ever felt more like family. Most companies say it. Sigma means it. It wasn’t a project. Being part of the Sigma flood response team. Watching and being a part of the way that the Sigma family banded together to help each other in the Great Flood of 2016! Graduated from Louisiana State University in May 2009 with a Bachelor degree in Mechanical Engineering. Became a licensed Professional Engineer in June 2013. Relaxed atmosphere with a family type environment. Flexible schedule. Shared workload, i.e. everyone pulls their own weight and is willing to help one another. Every project presents its own challenges, making every one memorable. If I had to choose one, Engineering the high pressure, high temperature piping and supports for the installation of a new Converter at the CF, Port Neal, IA facility. Spending quality time with my wife and daughters. Anything sports and workout related. Reading books on various subjects. Michele has 27 years of experience providing Procurement and Material Management Services for local engineering firms within the Baton Rouge area. She's worked with numerous clients in the Gulf Coast Region, with experience in implementation of procurement work processes, procedures, and best practices. Michele manages up to a 12 person procurement staff. Couponing / Shopping for bargains! You call it Shopping – I call it Retail Therapy! When the going gets tough, the tough go shopping! I graduated from Southeastern Louisiana University in May 2006. Right after graduation I worked for a contracting Company out at Marathon Petroleum for three years, in the document library. In October of 2009 I started working for Sigma doing documentation. One of the reasons I like working for Sigma is that you don't have to dress up for work. It's a nice feeling coming into work just being comfortable, wearing jeans and sneakers. Most memorable project I worked on was Dynamic Fuels. This was my first project as the sole document controller. This project pushed me out of my comfort zone. My hobbies are traveling, going to the movies, sporting events and photography.Also, the company wishes me Happy Birthday every day. It's not annoying at all! I received my undergraduate degree from LSU with a B.S. in Marketing, and I received my MBA from Southeastern. I have had my (PHR_ Professional Human Resources Certification since 2010 and my (SHRM-CP) Society of Human Resources Management Certified Professional since 2015. I enjoy working at Sigma because of the people. I get to work with really great people every day. The work environment or energy at Sigma is like no other. Working with several employees to put together a jambalaya fundraiser to help one of our coworkers and his family. It was a great thing to see so many of our employees helping out and working together for one of our own. I enjoy running and sports, and spending time with my kids. 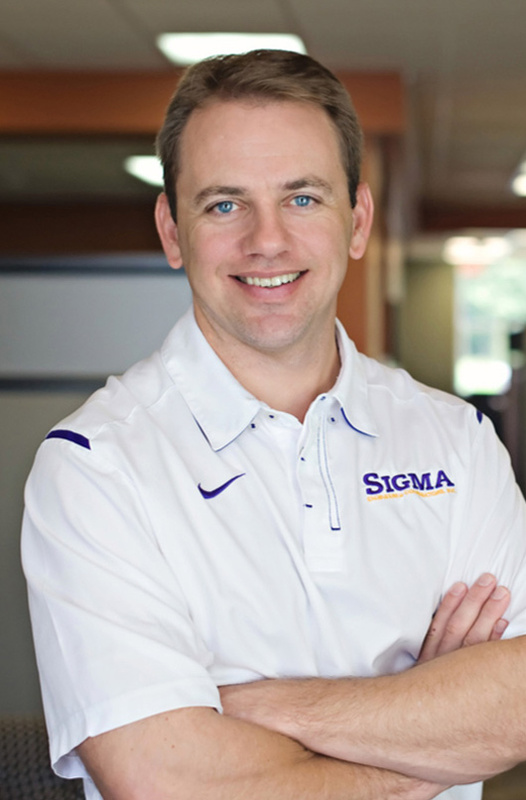 Graduated from LSU with a Construction Management degree in 2005 and have been working in the Petrochemical field since with the majority of that time being spent in the project controls arena. Has worked for both consultants and representing the client to gain an understanding of processes and execution strategies. 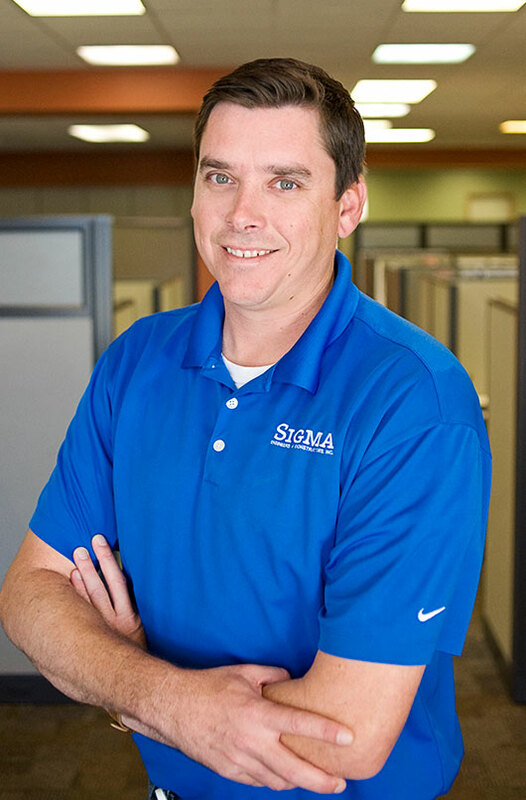 The employees at Sigma want to be here and want to see Sigma succeed which has created a team and family atmosphere. Everyone looks out for each other and will do what it takes to make sure we deliver a quality product and in a timely manner. It has been very gratifying to help build the project controls group and to be a part of growth with such a fantastic group of folks. In my spare time, I enjoy golfing and fishing but most of my time is spent with my two wonderful daughters. I graduated from LSU and my professional background includes a lot of non-profit involvement. I am currently participating in an effective leadership and Ontological Coach training program. There is a lot of laughter in the office which makes it an enjoyable place. Everyone genuinely enjoys working with each other and Sigma values their employees and cares about making sure there is a work/family balance. I enjoy painting, traveling, and working out on a Megaformer machine. I love Thai and Indian food and salted caramel ice cream. Graduated from LSU with a degree in Finance. 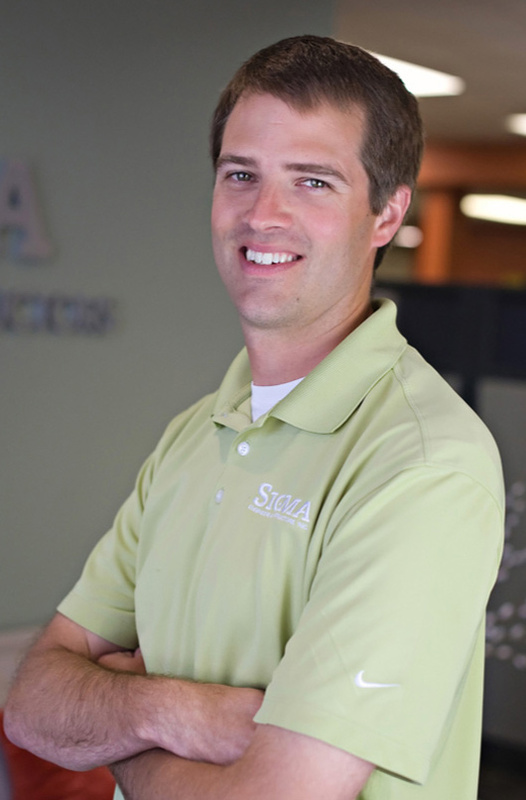 14 years of experience working in Accounting specifically in Consulting Engineering, prior to that 6 years working in the Accounting department at a warehouse and trucking business. I love the fact that Sigma truly is a family and we sometimes are a goofy family. I find myself giggling about something every day at work because of something a co-worker says or does. Oh, and there is the ice machine…we have awesome crushed ice. I enjoy cooking…really baking more. I enjoy reading. I like going to see live music and just listening to music in general. I love eating ice. Lol. 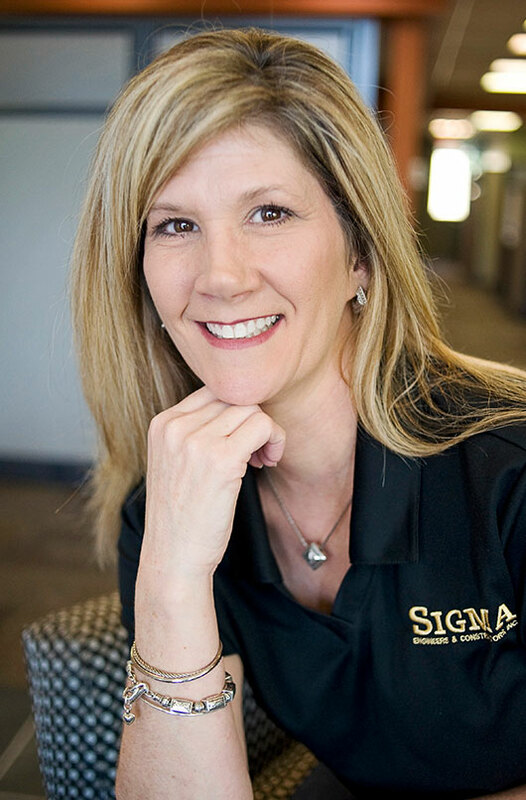 Oh, and today is Kristin’s birthday…..and tomorrow too, because every day is Kristin’s birthday at Sigma.